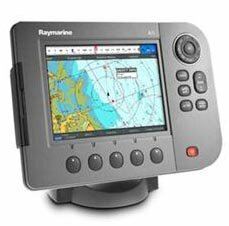 Marine Electronics.eu is a specialist company selling all the electronics required on small to large boats, ships and yachts. We offer an efficient and professional service, if you have any requirements for products that are not currently available on our site please contact us and we may be able to order in the part for you. We have a variety of Radars, Charplotters and Communication devices, supplying the leading manufactures in the industry including RayMarine, Simrad, Cathelco and many more. Based on the island of Ireland MarineElectronics.eu offers fast and efficient delivery across Europe and beyond. All orders must be placed online and we accept payment by Credit/ Debit/ or Laser cards. We include all installation information with the products that are shipped and manuals are available for download here on our website. If you'd like to have your marine equipment installed we can refer you to a local supplier who will arrange the installation on your boat or yacht at a time that suits you. If you are in a rush for your marine equipment, we have fast couriers who can have your part with you in no time. Call us to find out just how quickly we can have your part delivered.